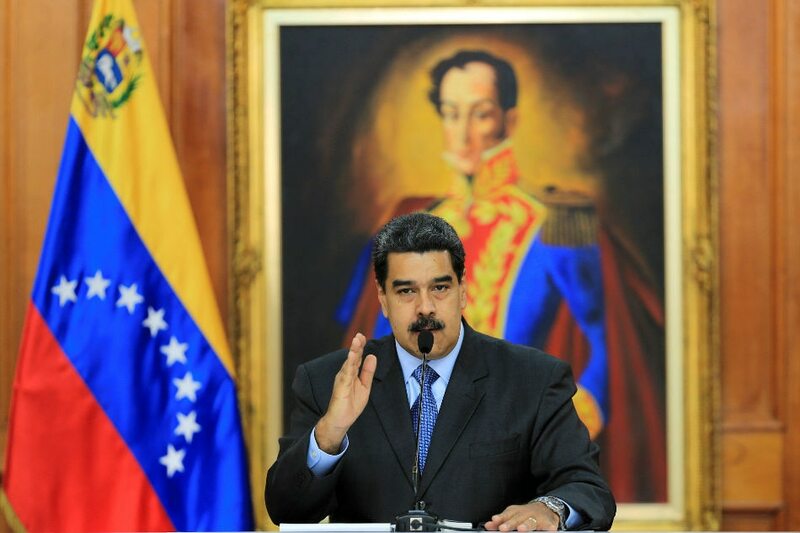 CARACAS -- Venezuela's President Nicolas Maduro departed Wednesday for China in search of agreements to bolster the oil-exporting country's collapsing economy. The trip to China is Maduro's first outside the country since he was allegedly targeted by exploding drones at a military parade in Caracas Aug. 4. Venezuela's crude oil production meanwhile fell in August to 1,448,000 barrels per day, a drop of 21,000 on the month before according to figures released by the Organization of the Petroleum Exporting Countries (OPEC). The figure represents the lowest level of crude produced in 3 decades, excluding a strike that lasted from December 2002 to February 2003.